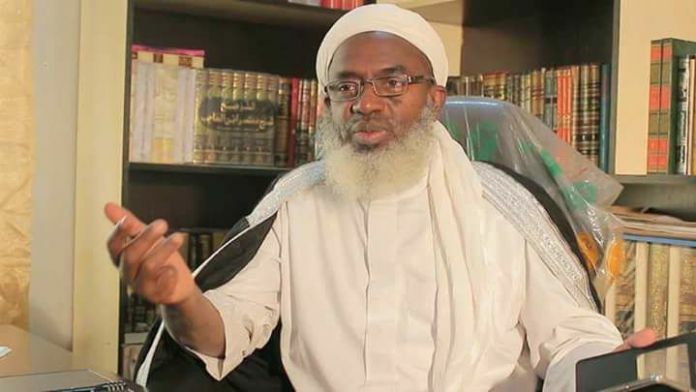 A Kaduna-based radical Islamic cleric, Ahmad Gumi, has lambasted President Muhammadu Buhari for allegedly allowing himself to be surrounded by ignorant advisers and those who do not have people at heart. According to DailyNigerian, the cleric’s remark followed the appearance of the mugshots of a former governor of Kaduna State, Ramalan Yero, holding charge board. Mr Gumi likened the president’s advisers to “mad men” as, according to him, are not “men of the people”. “The president has become a prisoner. Nobody tells him the truth. “Tell me a sane person around him. So he takes the advice of the ignorant. The learned sheikh said the surest way to success are forgiveness, truth, inviting people to do good deeds and turning down the (advice of the) ignorant. “But the way this administration is run shows the government follows what the ignorant says. “If we allow him to destroy the country, it is not only him will suffer, but all of us. “We always tell Mr Buhari the truth but he does not listen because he is vindictive. “Prophet Muhammad forgave but Buhari doesn’t forgive. “Prophet Muhammad did not associate with the ignorant but Buhari loves the ignorant,” he added. “We are trying to put Buhari on the right path,” he added.